GPS Link - Upper Latourell Falls, 220m el. Upper Latourell Falls is east of Portland. 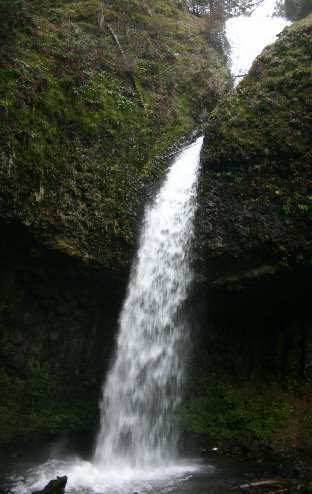 Lower Latourell Falls is the first to be seen heading west to east. Travel distance is appr. 6 miles to signed parking area south of road. the way to get to the upper falls.